I copied a page out of my old Employer’s book and decided to label things. The idea behind the picture and word labels is that it enables children to associate words with images (think about how most people learn a foreign language.) And to then associate the picture on the container with the contents inside. Since doing this container labeling, I haven’t had to clean up after my son (well, not THESE toys anyway) nearly as much. He no longer has the excuse of saying, “I don’t know where they go!” Hes got a sense of independence in that he knows where his toys are and he is capable of getting them out and putting them away without my help. 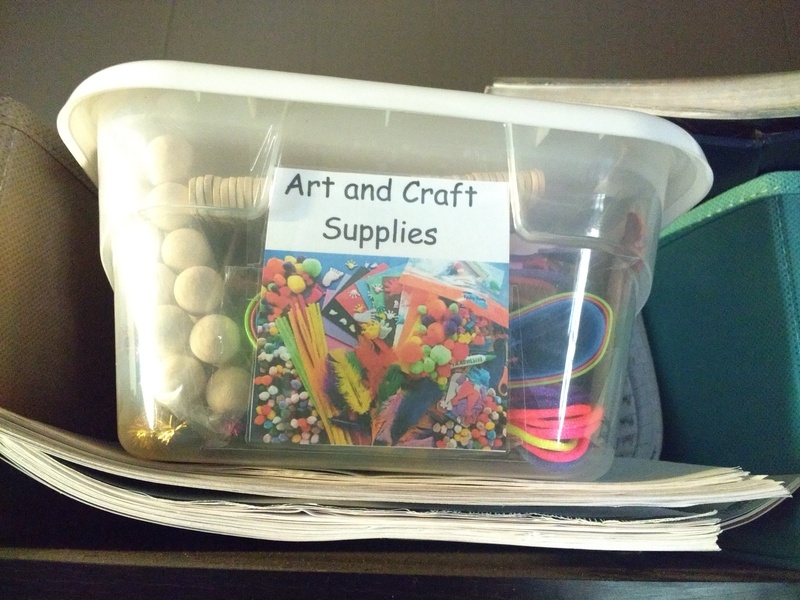 He’s happy with the organizational system, and so am I.
I’ve also labled and organized our art and craft supplies. This makes my life easier because I no longer scramble around 3 rooms searching for things we need for a craft or project. Scissors? In the box. Glue? In the box. Tape, foam sheets, googley eyes? All in the box. LOVE IT! I’m relatively new to home organization. 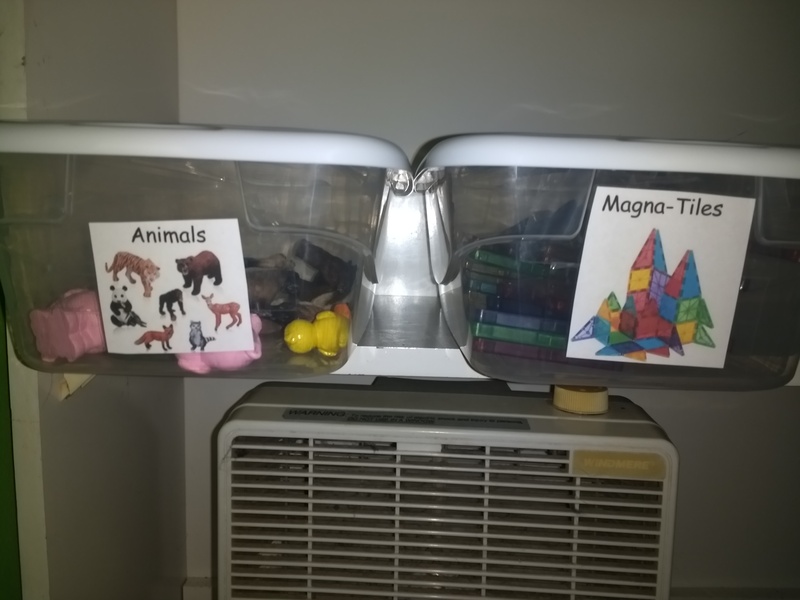 Before kids, I just put things where it would be convenient for me to use from time to time and they stayed where I put them. With tiny hands and feet on the move though, I needed a more concrete, more childproof system. So far, the plastic bins are working for me. I still need to figure out some shelving for our books (which are overflowing!) And for some other smaller toys that are accumulating (hot wheels and toy trains are the new favorites.) But overall, I really love that I can easily find things and that I spend less time searching and more time doing.